"Okay, so you're going to have to trust me on this one," were the words I used when handing this cocktail over to my sister, Emily, last night. She'd wandered into the kitchen and saw the ingredients I had out on the counter, and I could hear the skeptical expression forming on her face. A few moments later, alone again in my laboratory-- er, kitchen-- I cackled like a mad woman. Captain Jonathan "Black Jack" Randall (shown above as played by Tobias Menzies in the Starz adaptation of Outlander) is arguably one of the most important characters of the Outlander saga. He also just so happens to be one of the biggest assholes. He's highly intelligent, and even more sadistic. I won't go into the details because I *hate* spoilers, but anyone who's read the books knows what I mean... And anyone watching the television series will know soon. 1 oz gin: You can use whatever you prefer. I was gifted this lovely Painted Lady Gin by my homegirl, Lisa, and it worked beautifully in this drink. Hendricks and Aviation gins would both be excellent choices for this drink as well, but an old standard like Bombay is totally acceptable. 1 1/2 teaspoons balsamic vinegar, the best you can afford. Don't omit this. I'll explain why later. 1/2 oz simple syrup: Optional. I made it the first time with simple syrup and it was delicious, but a touch sweeter than I like. If you like it sweet, do it. If not, omit. Lightly dip the tip of your (clean) finger into raspberry preserves and use it to lightly coat the rim of your cocktail glass. No gloopiness. Dip the preserves-coated rim into your salt to achieve a gorgeous salt rim. I used a flake salt typical for margaritas for my drink (black salt flakes would be a beautiful addition, but I didn't have any on-hand), and I only rimmed half the glass to give me a chance to try the drink both with and without the salty addition. The verdict: The salt adds another layer of complexity to this drink. In an empty shaker combine gin, balsamic vinegar, preserves, bitters, and simple syrup (if you want it sweeter). Seal and dry shake to combine. You may be asking yourself "Why am I putting vinegar in my cocktail? That sounds gross." Firstly: I know it sounds kinda weird if you've never had a shrub, but vinegar isn't unheard of in cocktailing. Did you notice I didn't use any lemon or lime juice in here? Well vinegar takes the place of citrus by bringing acidity to the party. Acidity adds balance. If you don't go overboard with your vinegar, you won't really even taste it. 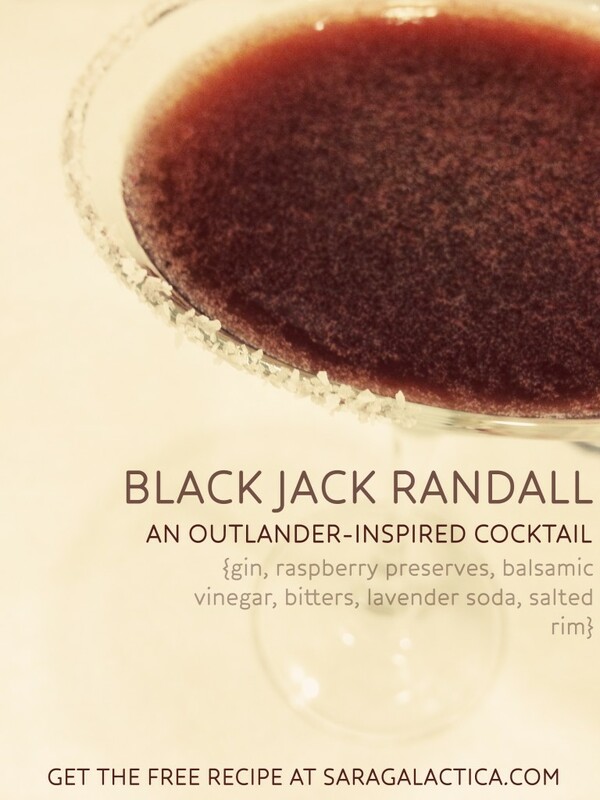 Now, add ice to your shaker and shake for a good 10-20 seconds so everything gets icy, just like Black Jack's stare. Strain into your cocktail glass. 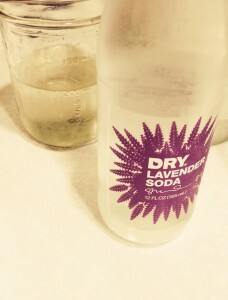 Gently pour lavender soda into the cocktail glass. I recommend pouring the soda against the glass so it starts to combine with the rest of the cocktail. Give it a brief stir to combine.